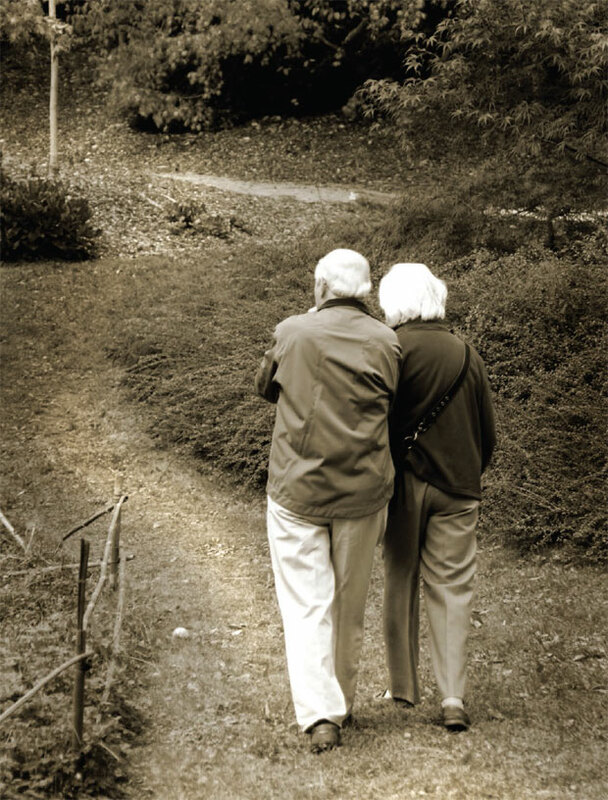 Gerontologist Karl Pillemer gleans relationship advice from veterans of long marriages. Jennifer Thomas Birckmayer, MA ’56, was married to her husband for forty-seven years before he passed away in 2003. Theirs was a partnership built on deep love and commitment— the kind of relationship that many would envy. Even though it has been more than a decade since he died, Birckmayer still calls her husband—Harold Birckmayer ’52, MBA ’56, who always went by Peter—her best friend. Yet Birckmayer, now eighty-two, doesn’t look back on her marriage through rose-colored glasses. Along with the joy, she remembers the rough patches, as she and Peter struggled with many of the troubles that long-term couples face. During their years together, they coped with the deaths of her sister and their parents. They confronted financial woes when Peter once lost his job and, as she describes it, they were “dirt poor” with four young children to support. There was plenty of stress as they juggled family and work, particularly since Birckmayer—an early childhood educator who worked as a senior extension associate for Cornell’s Department of Human Development—often had to attend meetings in Ithaca, more than three hours away from their home in Kinderhook, New York. 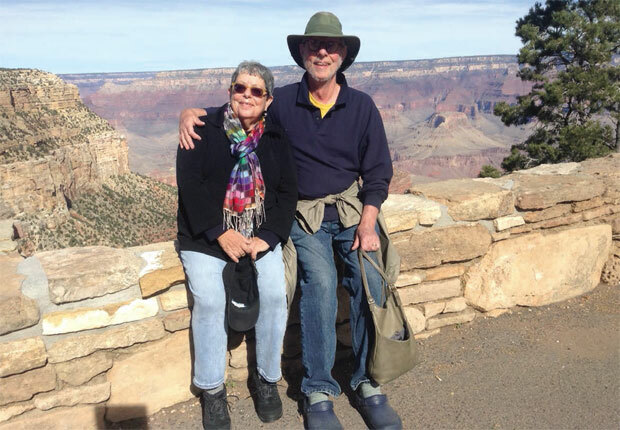 They had serious health issues, too: Peter suffered from asthma, while Birckmayer twice battled breast cancer. That kind of sage observation can only come from someone with a stockpile of life experience—and it’s why human development professor Karl Pillemer turned to older Americans for relationship advice. 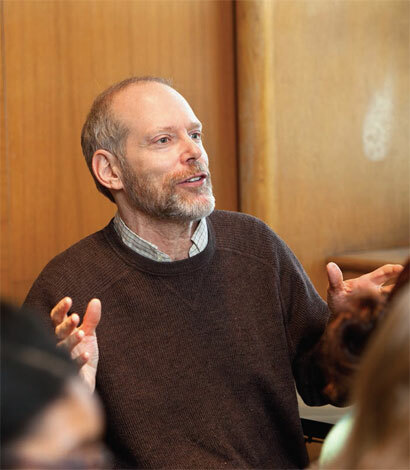 Birckmayer is one of more than 700 people over sixty-five whom Pillemer and his research team interviewed for his latest book, 30 Lessons for Loving: Advice from the Wisest Americans on Love, Relationships, and Marriage, which comes out in January from Hudson Street Press. From this collection of stories—which required poring over hundreds of interviews and thousands of pages of transcripts— Pillemer was able to pick out a set of common teachings for dealing with married life, such as how to communicate with your partner, how to manage stressful situations, and how to keep the spark alive over the years. He also found that these older experts were able to address a vital question that many singletons have: how do I know if I’m marrying the right person? Indeed, Pillemer’s subjects are united on this point; they say that you have a better shot at a good marriage if both partners share core values. The elders noted that different interests can sometimes jazz up a relationship, but couples need to be on the same page when it comes to major issues like money, parenthood, career, and religion. That’s part of what has kept Bob and Edith Levine of Teaneck, New Jersey, together for sixty-four years. Now eighty-nine and eighty-six, respectively—and the proud parents and grandparents of Cornellians—they grew up in the same Bronx neighborhood and both are from close-knit, supportive Jewish families. The pair has the same taste in music, movies, and theatre— they’re Broadway aficionados—and neither is particularly materialistic. “We enjoy the basics in life,” says Bob. “We didn’t live above our means, and I think that comes out of having a similar background.” The Levines agreed, too, on how to raise their two daughters, especially when it came to the importance of higher education. Their younger daughter, Jane Powers, PhD ’85, is a project leader in Cornell’s Bronfenbrenner Center for Translational Research, and three of their grandchildren attended, or currently attend, the University. Another tip that Pillemer didn’t expect from the elders he interviewed: go to therapy if you need it. “They talk a lot about the importance of communication, which was really surprising from this group, who weren’t raised in our psychologized society,” he says. In 2004, long after establishing himself as a gerontologist, Pillemer was asked to conduct a survey of Cornell’s Class of 1964 for its 40th Reunion. He posed this question: “What are the most important lessons you have learned since graduating?” The responses sent in were so detailed and thoughtful, Pillemer knew he had to delve further. So he launched the Legacy Project, and over the next five years, he and his researchers assembled information from about 1,200 older people from all over the country. Those tips turned into the book 30 Lessons for Living: Tried and True Advice from the Wisest Americans, which Library Journal named one of the best self-help books of 2011. 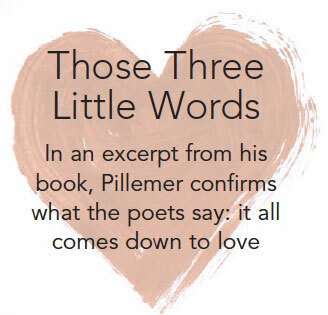 That volume motivated Pillemer to write his new book, after many readers told him that the passages about love and relationships really struck a chord. He received e-mails from couples who displayed the book at their wedding receptions; some parents handed 30 Lessons for Living to an adult child whom they thought was making a disastrous decision to walk down the aisle—with the book open to the chapter on marriage. The experts believe in love. Although one might think that some of the oldest respondents married because of family pressure, religious obligation, or social expectations, there were no differences among the age groups in the endorsement of love as the sine qua non of marriage. When I sorted through responses to the question, “What advice would you give to a younger person about choosing a mate?,” a top answer was: “Be in love.” Whether you are looking back over thirty years or seventy, the experts view profound love as the secret to choosing a mate. But is this really a useful insight? How does that observation help someone trying to sort out complicated feelings for another person? I have to admit that recommending love as a basis for marriage in our culture is analogous to making a strong argument that the sky is blue. I needed more from the elders if they were going to help me answer the question posed to me by young working women, fraternity brothers, and singles of all ages: How do I know that this person is right for me? In the search for a partner, nearly all of the experts described a powerful “sense of rightness,” an intuitive and almost indescribable conviction that you have made the right choice. Call it what you will—a spark, an intuition, a gut feeling—but they agree that you shouldn’t commit to a relationship without it. That’s what following your heart means. I admit that this profound sense that the person is right for you sounds intangible and even a bit mystical. And the elders often struggled to put this all-important criterion for choosing a mate into words. But for the experts, this particular ineffable feeling is highly predictive of a successful marriage. And in even stronger terms that warn you about the flip-side of the in-love feeling: Never get married without it. Over and over, the experts described this same “in-love feeling.” Most remarkable was the nearly identical wording they employed; it varied little from person to person. When asked how they knew their partner was “the one,” they would often hunt for words, and then wind up referring to this special feeling. This sensation involves a conviction of overwhelming rightness that builds on, but ultimately defies, a solely rational explanation. Perhaps even more important than the in-love feeling is the opposite; let’s call it the “this is wrong” feeling. Many experts also described this feeling in remarkably similar terms: as a visceral, intuitive, nagging sense that the relationship is just not right. It may be so faint that you have to search your feelings carefully for it. But the experts tell you from their own—sometimes tragic—experience that you ignore the warning of that feeling at your great peril. In the Rodgers and Hammerstein musical South Pacific, we are offered this advice about love: “Who can explain it, who can tell you why? Fools give you reasons, wise men don’t even try.” The experts do a remarkable job of telling you how to look for love concretely, while admitting they can’t really explain it. In their long experience, being “in love” will be a different experience for each individual, and one— despite thousands of years of poetic attempts—that ultimately defies description. 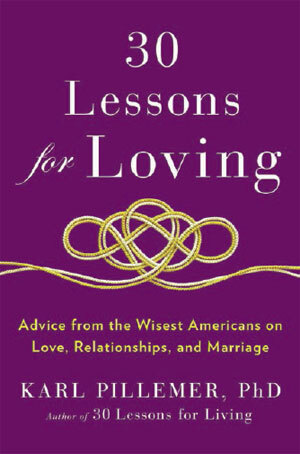 EXCERPTED AND CONDENSED FROM 30 LESSONS FOR LOVING: ADVICE FROM THE WISEST AMERICANS ON LOVE, RELATIONSHIPS, AND MARRIAGE. REPRINTED BY ARRANGEMENT WITH HUDSON STREET PRESS, A MEMBER OF PENGUIN GROUP (USA) LLC, A PENGUIN RANDOM HOUSE COMPANY. COPYRIGHT © 2015 BY KARL PILLEMER, PHD.